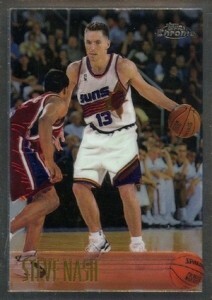 Although his career is now over, Steve Nash cards and memorabilia are still worthy of your attention. Retiring as one of basketball's greatest point guards, values should see a bump as many collectors reflect on the career of the former MVP. Steve Nash was part of a strong 1996 NBA Draft that featured other superstar players, like Kobe Bryant, Ray Allen and Allen Iverson. 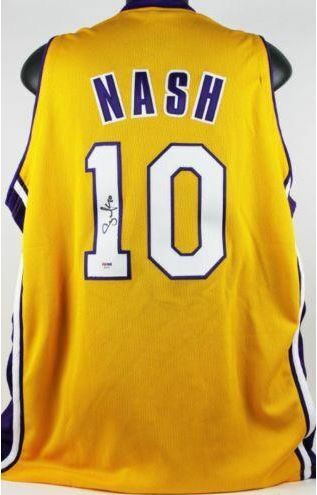 While clearly not the top option from that class among collectors, Nash has built a strong following. His elite numbers were officially recognized in 2018 when he was inducted into the Hall of Fame. All 14 of Nash's true rookie cards are base versions that are not numbered, autographed or contain a piece of his jersey. Because of this, most remain very affordable. The most valuable 1996-97 Steve Nash card options are usually the limited-edition parallels for Topps Chrome, Finest, Ultra, Bowman's Best and Bowman Chrome. 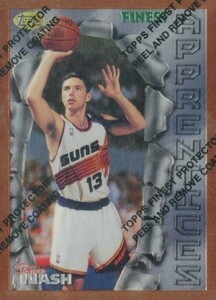 1996-97 topps chrome #182 STEVE NASH phoenix suns rookie card SGC 96 mint! 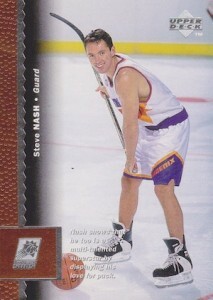 Steve Nash rookie cards! Fleer ultra gold medallion edition and more! 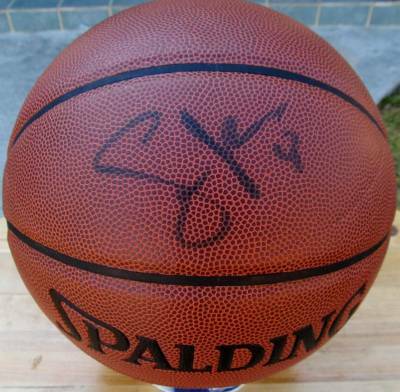 Below you will find an example of what Steve Nash's authentic signature looks like. This can be used as a first point of reference for determining the legitimacy of autograph memorabilia, but is not a substitute for having your items authenticated by a well-respected professional autograph authentication company. Reputable authentication companies include JSA, PSA and Mounted Memories to name a few. Whole signature is written on a level plane. The letter "S" is over-sized and resembles and includes two unique closed loops. A pen lift starts a squiggled line that resembles a "w."
The last character resembles a printed "K."